We provide many opportunities for members to grow spiritually by being the hands and feet of Jesus at work in the world as we use our time, talents, and prayers to serve our local community, our country, and our world. 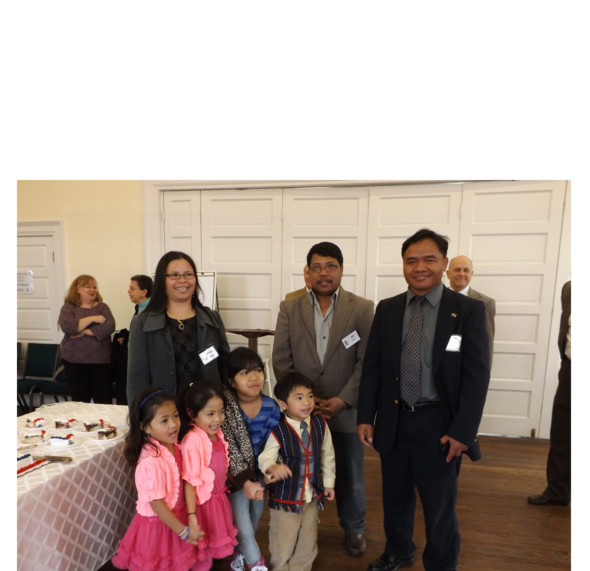 Our Church is also actively involved in the support of Montignard families who have been able to come to the United States and settle in New Bern. Several of the Montignard families have become members of our church. First Pres supports with time, talents, and treasures, many local organizations that serves the needs of our community. We are active in international mission through our support of missionaries in Haiti and Thailand. First Presbyterian was the originating foundation for Haiti Fund, Inc. and our membership continues to support Haiti and our mission there with funds, prayers, and team visits. First Presbyterian Church (FPC) has received and continues to receive donations for Hurricane Florence recovery. As part of our church’s Outreach Disaster Relief & Recovery program we have decided to offer a limited number of grants for financial assistance to FPC members who sustained losses not recovered through other means. These grants will be available on a first come, first serve basis up to an initial amount of $2,500 per household; this grant program is limited to the total budgeted recovery amount. Application forms for financial assistance (click button below) will also be available in the church office after March 20th, or the application can be mailed to your address upon request. Completed applications along with supporting documentation must be returned to the church office no later than April 30, 2019 to be considered. All information provided will remain confidential and will not be shared for any other purpose. Each application will be carefully reviewed by FPC’s Disaster Recovery Group and the Financial Oversight Team to determine if the application meets the criteria for grant approval. If you have any further questions and/or need additional information, please contact Carl Chapman or Hollis Brannon. Sunday, March 10th NEW BERN CROP HUNGER WALK. The Crop Hunger Walk, New Bern edition, was held on Sunday, March 10th. The weather cleared just in time for the start of the Walk. Nearly 250 Walkers, representing 20 teams assembled at the Union Point Park Gazebo and, after a brief program, were sent out by Mayor Dana Outlaw to complete the 2019 CROP Hunger Walk. An enjoyable afternoon was had by all! Early totals of donations exceed $24,000. Church World Service partners locally with RCS, Religious Community Services, to address hunger needs here, and across the globe. Donations are still coming in. First Presbyterian Team will again be in one of the top positions in regard to totals raised. Donations are still coming in. Thanks go to Jennifer and Michael East for their leadership of our Team. Nearly 30 FPC Walkers joined them to Walk either the 3-mile route or the new 1-mile route. Thanks also to the members of First Presbyterian Church for your wonderful generosity in support of the CROP Hunger Walk. Next year we will celebrate the 40th year of the CROP Walk in New Bern!